This is a workshop designed to talk about what passion is, why it is important, how it empowers, and why is should be followed. I use passion as a leeway into speaking about how my passion for snowboarding and how it brought me to the 2014 Sochi Olympic Games. I have video and pictures from the event and talk about my experience at the Games. There is time for a Q&A period where the participants can interact with me. I also brings signed cards for everyone and will stay for pictures. This workshop helps everyone become a producing and contributing citizen of now and the future. I have presented to several public schools and at youth conferences like Unity in the Community with the Boys and Girls club of East Scarborough/Toronto and various public schools in the GTA. I cam present almost any place where passion exploration is needed. I am able to speak to groups large and small, I prefer to have access to a projector, audio system, and microphone for large groups. 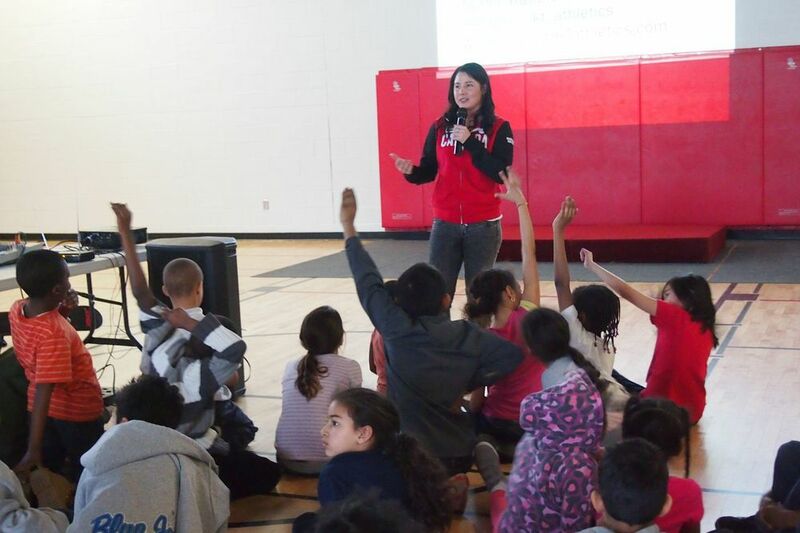 "Katie's presentation to my Grade Six class about finding your passion and goal setting was a huge success! The students found Katie to be quite inspirational (even though many of them knew nothing of snowboarding beforehand). She convinced them them that her philosophy can be applied to anything in life, no matter where you live, what your cultural background is, what your socioeconomic status is, or your gender. The sincerity of her delivery was obvious to the students and the adults present. Her enthusiasm captivated us all. Her message is relevant and universal and would be appropriate for any preteen or teenaged audience. The kids all want to know when Katie would be coming back. She'll definitely have many new followers on her website." - Bill Belisle Gr. 6 teacher at Cedar Drive P.S.